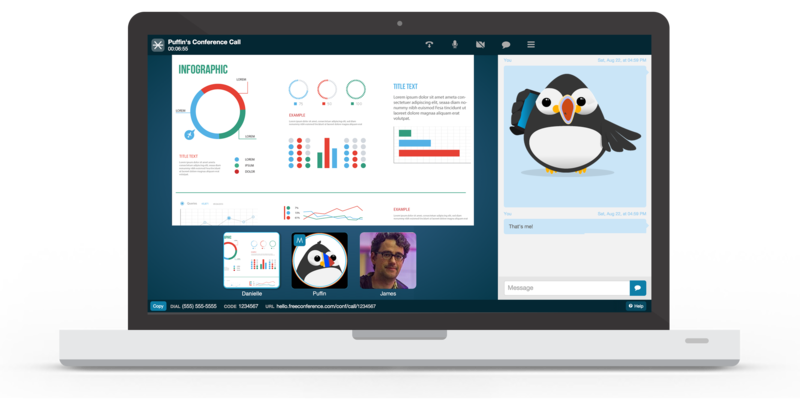 NEW YORK, Sept. 9, 2015 /PRNewswire/ — iotum, a leader in teleconference and group calling solutions, announced today the re-launch of its flagship product FreeConference.com, with enhanced service offerings. The new FreeConference.com provides customers an enriched conference call experience with HD audio, free video conferencing and screen sharing. The new FreeConference.com introduces pre-packaged upgrade bundle plans and boasts an easy-to-use interface, high-quality sound, global numbers and several updated features, including reminders, PINless Entry and in-call dashboards. Highlights include download-free video conferencing and screen sharing as well as an in-browser web conferencing tool and international call numbers with free dial-in access for USA, UK, Australia, Austria, Belgium, Canada, Germany, Netherlands, South Korea and more. FreeConference.com now also offers transcription, toll-free numbers and recording controls for a small fee. Unlimited audio conference calls connecting up to 200 participants by phone and web browser. Dedicated conference line to use at any time. Personal online conference room with moderator controls, text chat, screen share and video conference features. Interactive online meetings with up to five (5) participants. Three (3) live HD video feeds per meeting. Share your screen with the click of a button – 100% download free. For more information on the new FreeConference.com, visit www.freeconference.com. With offices in Los Angeles and Toronto, iotum is #199 on Inc. Magazine’s list of fastest growing private companies in America. For more information about iotum, its team, solutions and services, please visit www.iotum.com.